And he goes on to retell the true story of Africa – through the eyes of the Africans. Who Should Read “Things Fall Apart”? And Why? We constantly speak of democracy and uniting humanity through diversity, but it seems we’re still slaves to those appealing, but treacherous single stories. Which makes reading “Things Fall Apart” a double-edged sword. On the one hand, it is by far the most analyzed and well-known African novel, the one embodying the African identity best. On the other, it is also – unfortunately – the only book written by a black African novelist which has gained an international reputation. 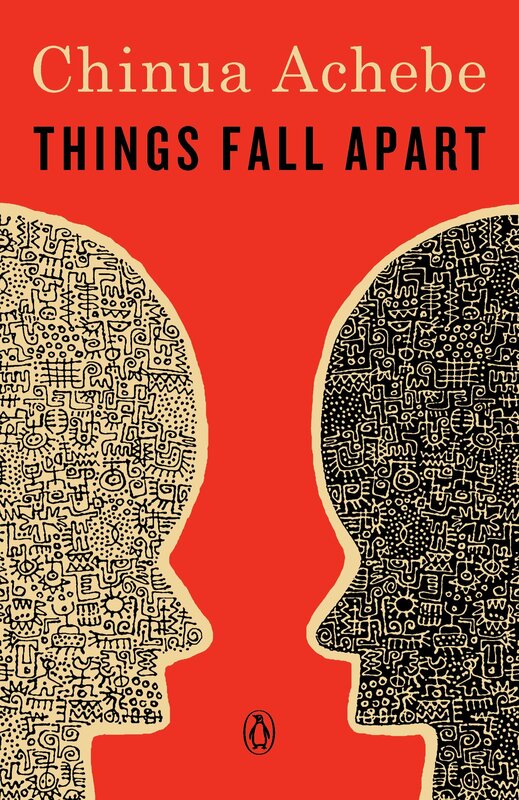 Sold in over 20 million copies worldwide and already a part of many high-school and university curricula, “Things Fall Apart” is a must-read for anyone who wants to learn “the African story” through the words of the Africans. However, never forget that this book should be merely the beginning of your journey of discovery of the Other. was a Nigerian novelist, poet, and professor, widely considered the most influential African writer in history. Achebe died on 21 March 2013 in Boston, U.S.
Meet Okonkwo, the protagonist of our novel. He is a strong and hard-working husband of three wives and father of ten children. He is also a leader of his Umuofian clan, specifically respected in his village Iguedo as a local wrestling champion. Now, if you try looking up Umuofia or Iguedo in a historical dictionary or on a map – the name that will come up will probably be Achebe’s. Because just like Harper Lee’s Maycomb or Fitzgerald’s West Egg – Iguedo is a fictional place, and Umuofia, a fictional clan. Which doesn’t mean that they don’t have real-world counterparts; but it does mean that they are composites, archetypal structures designed by Achebe to tell more about the real world than the real world itself. 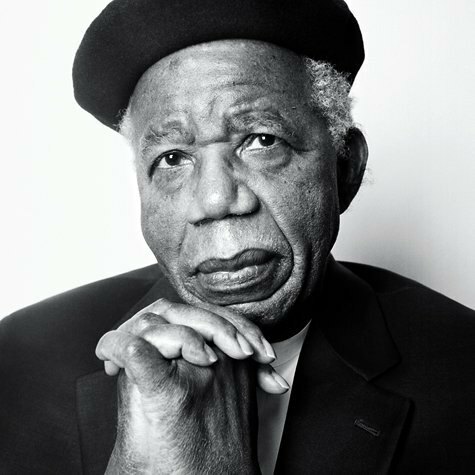 However, if you want to, you can read Nigerians – or, even better, Igbo – every time we mention Umuofians; and Ogidi, Achebe’s birthplace, instead of Iguedo. Anyway, his reputation aside, Okonkwo isn’t that much of a good guy. He regularly beats his wife and children and, fixed on the ideal of machoism, he’s not interested in any compromise, frequently quarreling with his neighbors. Okonkwo’s fear was greater than these. It was not external but lay deep within himself. It was the fear of himself, lest he should be found to resemble his father. So, just as it often happens in life, the one who shows the least weakness is the one who is most troubled. In the case of Okonkwo, what’s troubling him is the legacy his father Unoka had left behind him. Contrary to the Igbo ideal of masculinity, Unoka was weak and tender, preferring his flute to the knife and fainting at the sight of blood. He was also lazy and miserly and left his family in debts. And, to a certain extent, being his father’s polar opposite works for Okonkwo. As a hard-working farmer, brave and never shying away from a challenge, he manages to acquire both wealth and the respect of the Umuofians. However, he also grows to become rather violent and confrontational man, hating everything even remotely considered as “soft,” such as music, conversations or, you know, emotions in general. Okonkwo’s life is abruptly changed when he is chosen by his community to adopt a boy from another clan. Ikemefuna – that is the boy’s name – is, in fact, part of a peace settlement, which should resolve the murder of an Umuofian woman by Ikemefuna’s father. In time, Okonkwo grows very fond of his adopted son. In fact, he starts loving him more than his biological son Nwoye, whom he believes to be weak. Naturally, Okonkwo doesn’t show his love for Ikemefuna publicly. On the contrary, in fact! He is the one who strikes the final blow, even as Ikemefuna begs his father for his life and protection. In the meantime, Ogbuefi Ezeudu, one of the Umuofian elders, dies. At his funeral, during a gun salute, Okonkwo accidentally kills his son, so he and his family are banished for seven years. That’s how they appeased the gods in those days. So, Okonkwo goes to Mbanta, his mother’s homeland. And there he learns that the white missionaries have come to Umuofia to introduce their religion (Christianity) and their ways of life. As time passes, more and more people convert to Christianity. And Okonkwo is less and less happy about it. The straw that breaks the camel’s back is the day his son Nwoye becomes Isaac. Okonkwo, expectedly, disowns his son. The seven years pass, and he goes back to his village to find it irretrievably changed by the white newcomers. And things go from bad to worse when a convert unmasks an elder disguised as the Umuofian ancestral spirit – a sacrilegious act. So, the Umuofians burn a Christian church, and, in return, the whites imprison several Igbo leaders. The Umuofians get their leaders back after paying a hefty ransom but believe that the whites have humiliated them just about enough. So, they hold a war council, the star of which is, unsurprisingly, Okonkwo. For him, there’s only one way out – aggressive retaliation. And he shows the way when two court messengers arrive to stop the meeting, beheading one of them. However, the crowd lets the other one. Realizing that his opinion is the unpopular one and that the Umuofians will not fight against the white colonizers, Okonkwo hangs himself. Since, just as in Christianity, suicide is strictly forbidden according to the Igbo teachings, Okonkwo permanently tarnishes his reputation. And, ironically, after so much effort, he leaves the world the same way his father had before him: in despair and shame. Of course, the District Commissioner couldn’t care less about this. In his mind, he’s too busy contemplating whether Okonkwo’s story is interesting enough to be granted a chapter or merely a paragraph in the book he’s writing at the moment. With “Things Fall Apart,” Chinua Achebe gave voice to the African continent back in 1958, using and bending the language of the colonizers to tell the story of the colonized. Through it, the European and American readers were able – for the first time – to learn comprehensively the way of life of pre-colonial Africans; and the shattering effects the Scramble for Africa had on the continent and its inhabitants. And we certainly won’t argue the decision.